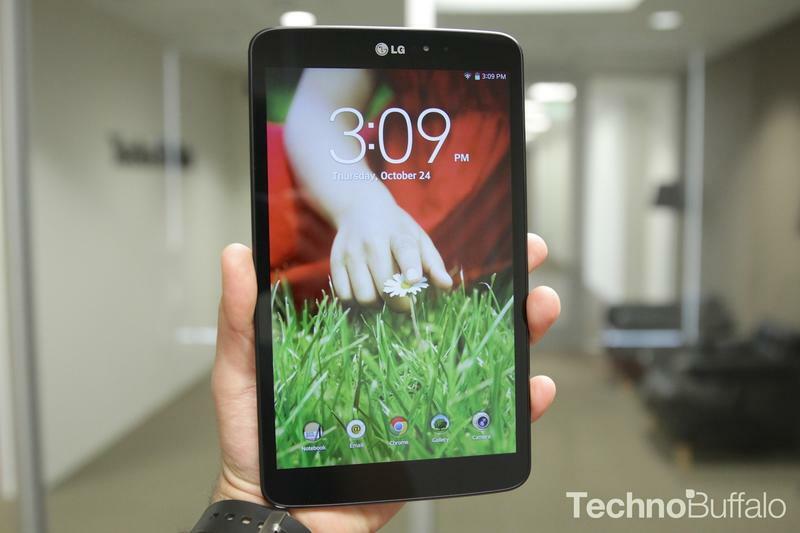 The LG G Pad 8.3, one of last year's better Android tablets, is making its way to Verizon Wireless. Verizon said early-bird customers will actually get a deal if they purchase the device before March 10, with a starting price of $99 on two-year contract. After that, the price will go up to $199 with a two-year contract. That's a pretty substantial price difference, so you better jump on this quick if you're looking to get a new LTE-equipped Android tablet. When we reviewed the G Pad 8.3 last year, we praised the device's excellent design and solid set of added features. As far as alternatives to the Nexus 7 go, the G Pad 8.3 (and the Google Play edition) is among the best options. Equipped with a 1.5GHz quad-core Snapdragon 600 chip, a 4600mAh battery, 2GB of RAM, a 5-megapixel camera and 16GB of internal storage (microSD expandable, the G Pad is definitely a powerhouse). With LTE support, it's certainly a viable competitor in the crowded tablet market, and at 8.3 inches with a Full HD display, the size is perfect for on-the-go productivity. If you have a More Everything plan with Verizon, the carrier said you can add the tablet for an additional $10 per month. The device will be available in stores and online starting on March 6.